* Cook biscuits, hazelnuts and butter in the kitchen robot. Grind until you get the oil crumbs. Pour them in a tortelized form with a movable board and press against the blade. * Beat the sugar cheese with a blender. Add the cream, vanilla, lemon juice and lemon as well as the liqueur. Finally, add the gelatine dissolved in water in a little water. Pour the cream over the biscuit pad and leave it in the refrigerator to tighten. * Boil for a few minutes syrup of water, juice and lemon peel. Add the other ingredients. After cooling, remove the lemon peel and strain through the strainer. Place the syrup in the refrigerator. When it starts gently, pour it onto the already tight cream. 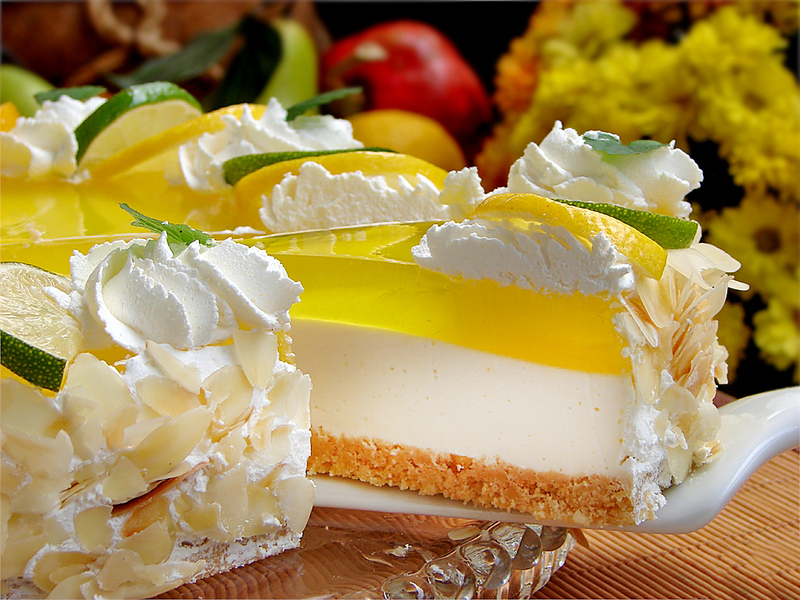 Leave the pastry for several hours in the refrigerator to gel well. 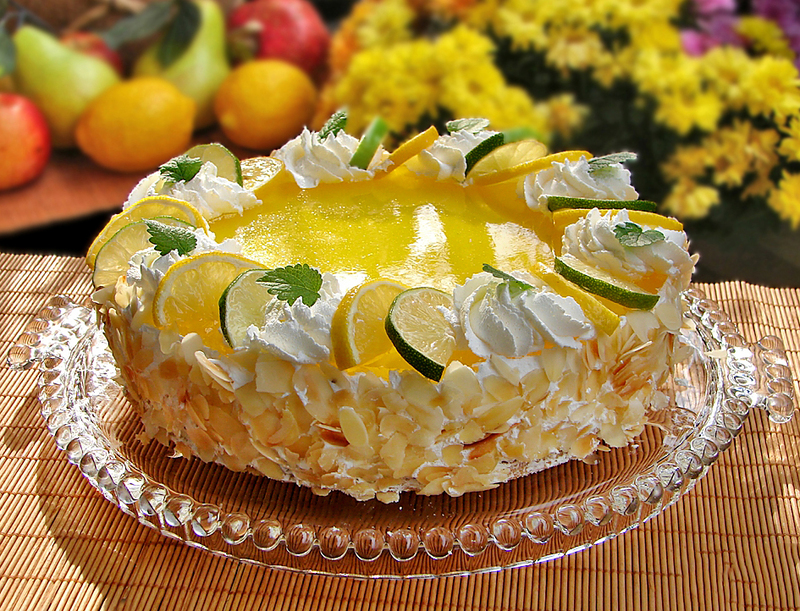 * Garnish with whipped cream and sliced ​​lemon. Enjoy! We were invited and decided to take it. Everyone liked it very much! I have to admit I was a bit skeptical about it, but it was without reason. So far I had not been a cheesecake, so I decided first to try the easier option – no baking. And the result is just … incredible! Very fine and light taste, great for the summer. I think that whoever tried it will not regret it! I’m so glad that everyone likes the sweets. Yes, without baking it is easier, but I recommend you try the classic baking. I make with lemons, strawberries, cherries, raspberries, great fantasy and personal creativity! Thank you for the incredible, quick and no baking recipe!